We almost overdosed on decadence at Raffles Phnom Penh. It may have been the five-course lobster brunch with champagne as the waiter flambéed scallops at our table, gamely letting the flames leap higher for the benefit of our cameras; or maybe it was at dinner, while sipping a 1920 Sipsmith martini and sampling the ‘Jackie Kennedy menu’, based on the meal the then-First Lady enjoyed here. For almost a century, Raffles has represented the height of luxury in Cambodia. It has a storied history. 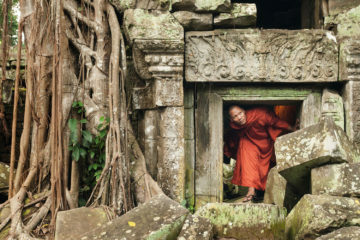 Most famously it was declared a neutral zone by the French during Pol Pot’s regime and provided shelter to journalists during those troubled years. 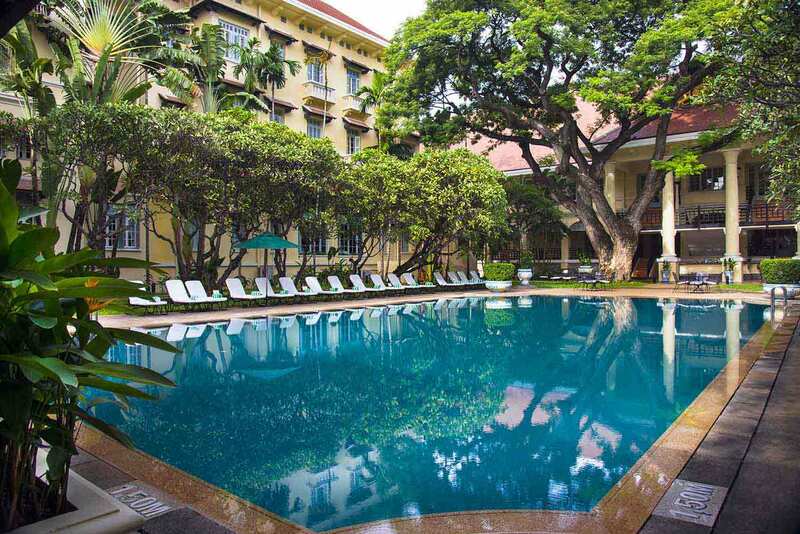 The 132-room property is a blend of Khmer, Art Deco and French colonial architecture. Two large courtyard pools lie in the shade of the vibrant tropical greenery. 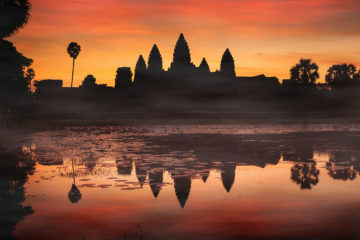 The whole place is an oasis of old-world colonial glamour amid a bustling, non-stop city; you owe it to yourself to stay here on your visit to the Cambodian capital.